This attractive French bicycle has some nice detail touches. The child seat and footpegs (mounted on the front forks) are interesting period accessories. 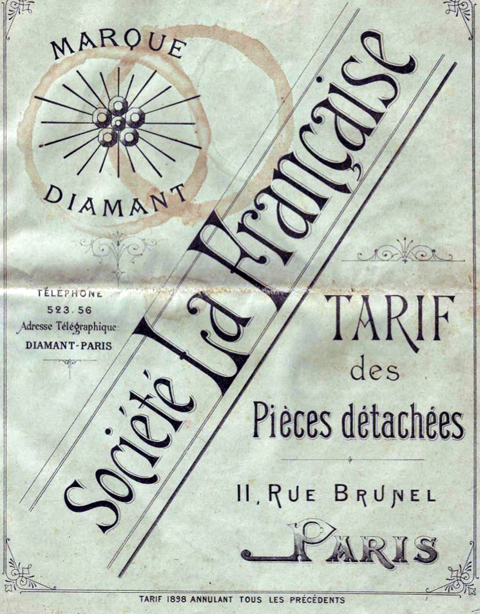 The company was founded in 1890 by Pierre-Victor Besse and Francis Trepier as la Société La Française, to manufacture velocipedes and components, at 27 rue Saint-Ferdinand in Paris. The name by which the company is now familiar was adopted in 1895, after they moved to 11 rue Brunel, Paris. The poster above is from that year (and the one below from 1905). 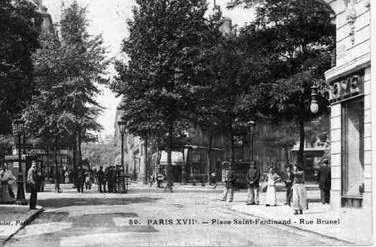 Rue Brunel is the heart of the 17th arrondissement, an area subsequently renowned for coach-building and the sale of exclusive cars. For example, Jacques Savoye established his garage at no 38 rue Brunel to sell British marques; they still sell Rolls Royces and Morgans. The company achieved many racing successes in France in the beginning of of the twentieth century. 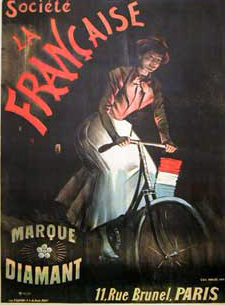 The poster above illustrates the La Francaise Diamant victory in the Paris-Brest-Paris road race, which they won in 1901 and 1911 (at that time, this race only took place every ten years). 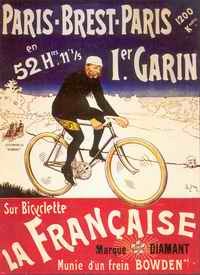 1901: Maurice Garin won the Paris-Brest-Paris race on a La Française bike. 1902: Maurice Garin won the Bordeaux-Paris road race. 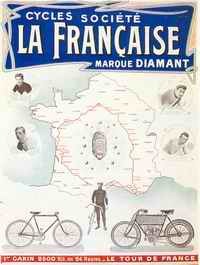 1903: Maurice Garin won the first Tour de France on a La Française bicycle, which was black with a tricolour head. 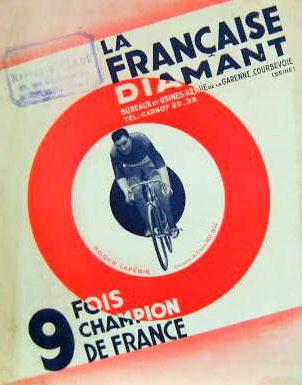 The company sponsiored eight riders in this race, of which the first five of this Tour de France were on La Française cycles. . Lucien Pothier was second, Fernand Augereau third, Rodolfo Muller fourth and John Fisher fifth. 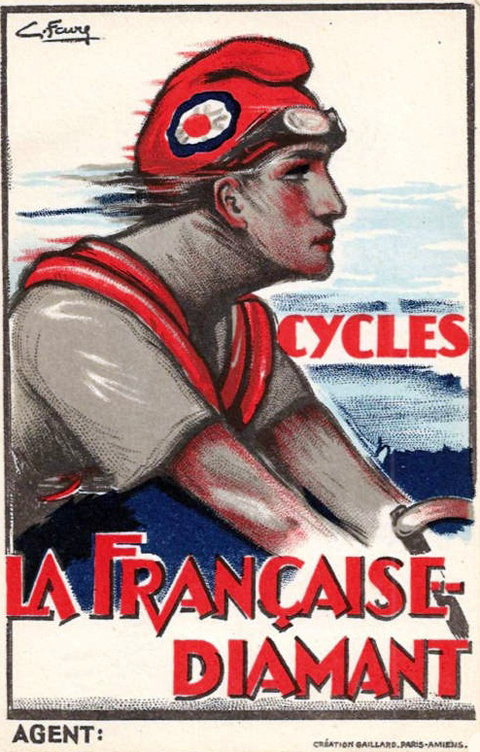 1904: Eleven riders were sponsored by La Française. Maurice Garin won the Tour de France but was downgraded. Lucien Pothier was second and Cesar Garin third. 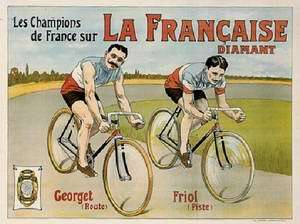 1909: in Copenhagen, V. Dupre became the indoor world cycling champion, in the professional speed category, on a La Française cycle. 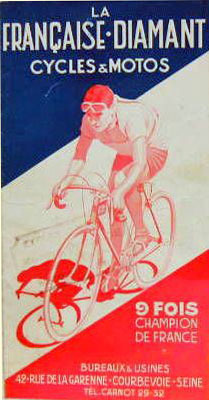 1911: La Française won the Paris-Brest-Paris again with Emile Georget riding (he is pictured in the 1910 poster below). 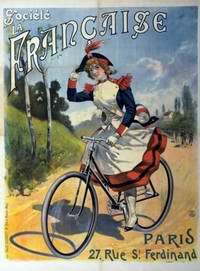 At the end of WW1, the company joined a consortium of bicycle manufacturers, which included Peugeot, Hurtu, Alcyon, Automoto, Grioffon, Liberator, Laboir, Gladiator, Clement, Armor and Thomann. By 1923, Alcyon had become the dominant company, and took over La Francaise Diamant. 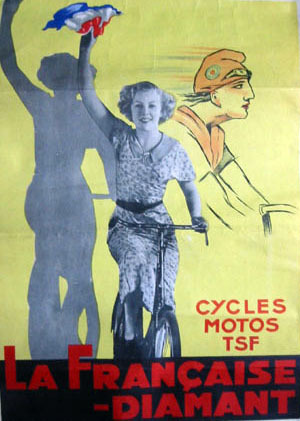 The three posters below are from 1935. 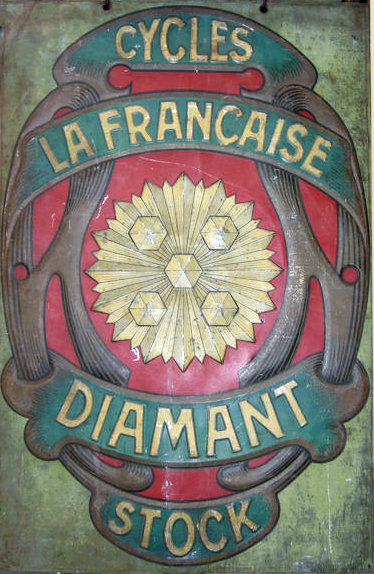 After WW2, La Française Diamant, along with Rhonson, ABG, Alcyon, Armor, Gentil, Labor, Lucer and Thomann were all taken over by VAP. 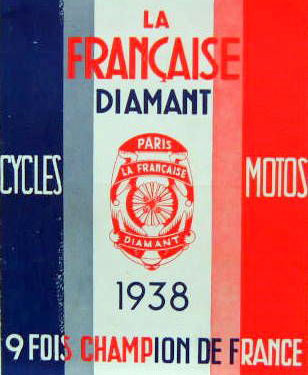 As was common practice postwar, individual manufacturer badges from companies long defunct were used on postwar motorcycles to help boost sales; this tinge of nostalgia helped remind Frenchmen of the country’s wonderful early years of glory during the very beginning of the bicycle, motorcycle and autombile industry.